The Catholic Church teaches: Adults must prepare for justification through faith and good works [1247-1249]. The Bible teaches: God justifies ungodly sinners who believe (Romans 4:5). Good works are the result of salvation, not the cause (Ephesians 2:8-10). 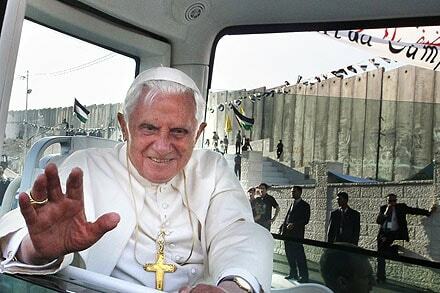 The Catholic Church teaches: The justified are in themselves beautiful and holy in God’s sight [1992, 1999-2000, 2024]. The Bible teaches: The justified are in Christ holy and blameless before God (Ephesians 1:1-14). The Catholic Church teaches: Justification is furthered by sacraments and good works [1212, 1392, 2010]. The Bible teaches: Justification is the imputation of the perfect righteousness of God (2 Corinthians 5:21). In Christ the believer has been made complete (Colossians 2:10). The Catholic Church teaches: Justification is lost through mortal sin [1033, 1855, 1874]. The Bible teaches: Justification cannot be lost. Those whom God justifies will be saved from the wrath of God (Romans 5:8,9). The Catholic Church teaches: Catholics guilty of mortal sin are justified again through the sacrament of penance [980, 1446]. The Bible teaches: There is no second justification. Those whom God justifies He also will glorify (Romans 8:30). The Catholic Church teaches: Salvation from the eternal consequences of sin is a lifelong process [161-162, 1254-1255]. The Bible teaches: Salvation from the eternal consequences of sin is an instantaneous and secure act of God coinciding with justification (Romans 5:9). The Catholic Church teaches: Salvation is attained by cooperating with grace through faith, good works, and participation in the sacraments [183, 1129, 1815, 2002]. The Bible teaches: Salvation is attained by grace through faith apart from works (Ephesians 2:8,9). Good works are the result, not the cause, of salvation (Ephesians 2:10). The Catholic Church teaches: Faith is belief in God and the firm acceptance of all that the Church proposes for belief [181-182, 1814]. The Catholic Church teaches: Sanctifying grace is a quality of the soul, a supernatural disposition that perfects the soul [1999-2000]. The Bible teaches: Grace is the undeserved favor of God (Ephesians 1:7,8). The Catholic Church teaches: The sacraments are necessary channels for the continual infusion of grace. They bestow grace in virtue of the rite performed [1127-1129]. The Catholic Church teaches: Grace is merited by good works [2010,2027]. The Bible teaches: Grace is a free gift (Romans 11:6). The Catholic Church teaches: Venial sins do not incur eternal punishment [1855, 1863]. The Catholic Church teaches: Serious sins must be confessed to a priest [1456-1457]. The Bible teaches: Sin is to be confessed directly to God (Ezra 10:11). The Catholic Church teaches: The priest forgives sin as a judge [1442,1461]. The Bible teaches: No one can forgive sin, but God alone (Mark 2:7). The Catholic Church teaches: When the guilt of sin is forgiven, temporal punishment remains [1472-1473]. The Bible teaches: When God forgives sin, He completely forgives (Colossians 2:13; Isaiah 43:25). The Catholic Church teaches: Acts of penance make satisfaction for the temporal punishment of sin [1434, 1459 – 1460]. The Bible teaches: Jesus made perfect satisfaction for all sins (1 John 2:1,2). The Catholic Church teaches: Indulgences dispensed by the Church for acts of piety release sinners from temporal punishment [1471-1473]. The Bible teaches: Jesus releases believers from their sins by His blood (Revelation 1:5). The Catholic Church teaches: Purgatory is necessary to atone for sin and cleanse the soul [1030-1031]. The Bible teaches: Purgatory does not exist. Jesus made purification for sins on the cross (Hebrews 1:3). The Catholic Church teaches: Poor souls suffering in purgatory can be helped by those alive on earth offering up prayers, good works, and the sacrifice of the Mass [1032, 1371, 1479]. The Bible teaches: Those who sleep in Christ need no help. To be absent from the body is to be at home with the Lord. (2 Corinthians 5:8). The Catholic Church teaches: No one can know if he will attain to eternal life [1036, 2005]. The Bible teaches: The believer can know that he has eternal life by the Word of God. (1 John 5:13). The Bible teaches: Eternal life is the free gift of God (Romans 6:23). 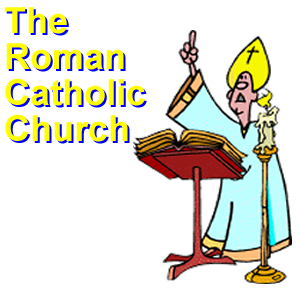 The Catholic Church teaches: The Roman Catholic Church is necessary for salvation . The Bible teaches: There is salvation in no one but the Lord Jesus Christ, “for there is no other name under heaven that has been given among men by which we must be saved” (Acts 4:12). Note – The Catholic Church claims that Peter was their first Pope. However, the Catholic Church does not all their religious leaders to marry (a man-made law, not one given by God nor Jesus). Peter was clearly married, read Matthew 8:14.